Publishing: Hello Hero: Epic Battle Grand Launch in Southeast Asia! This 3D Mobile RPG which was recently opened in Vietnam and other SEA countries, continuously making big efforts for the content update and now, taking over Southeast Asia gaming scene! The expansion is inevitable! Hello Hero: Epic Battle is unstoppable as it opens SEA Grand Launch! Tag along with Leo and friends as they invite all Southeast Asian players to join them in saving the world from evil! Be part of growing community of Guardian as this hit 3D Mobile RPG Hello Hero: Epic Battle opens to Southeast Asian nations today! SEA Grand Launch comes with Epic Reward coming really soon! Southeast Asia — Fincon, the game developer behind the popular Hello Hero franchise, announces today that Hello Hero: Epic Battle is now available in all Southeast Asian nations! Come along with Leo and his friends as they look for more Guardians from Southeast Asia to help save the world! Get the game NOW as it opens to neighboring countries: Brunei, Cambodia, East Timor, Laos, and Myanmar! More Southeast Asia Grand Launch Giveaways! To celebrate the Southeast Asia Grand Launch, Fincon will give away 500 Diamonds, 1 Golden Card Pack Ticket, a 100% Hero EXP Boost x5, and a 100% Gold Boost x5! After six soft launches, over 100,000 Guardian pre-registrations, garnering 200,000 fans in Facebook, and giving away more than 9,000,000 diamonds, Hello Hero: Epic Battle officially launches all over SEA. This Southeast Asian conquers works side by side with competitive items and update. Get the chance to take home the exclusive smart toy figures really soon. Don’t miss out Epic Battle and Squad Wars update! Get your game updated! This hit 3D Mobile RPG that opened in 7 countries which received by players for its fun and simplicity that fits today’s interconnected, on-the-go lifestyle. 9,000,000+ diamonds given for free! 90,000+ Hero cards with 100 Diamonds each (9 million diamonds), given away! More than 100 live streams and coverage from Social Media Influencers! Limited Edition Costume Piece for Leo – Horn of S.E.A., given away! Exclusive Smart Toy Figures coming very soon! Hit 3D Mobile RPG Hello Hero: Epic Battle also launches its biggest update in its Spring patch—uniting the community into one server and enabling multiple combinations of Heroes to complete all levels of the Adventure Mode—Hello Hero: Epic Battle has only gotten even more epic! Fincon would like to thank each and every Guardian for their continued love and support during this intense Soft Launch period! The team is looking forward in continuing their journey with more Guardians now that Hello Hero: Epic Battle has opened to the rest of Southeast Asia. Join the 3D Mobile RPG Hello Hero: Epic Battle hype and be one of the Guardians as it continuously make a history. Currently available for all players in Southeast Asia for free! Watch out for the Global Grand Launch soon! This entry was posted in Articles, Publishing and tagged 3d, android, arpegi, Asia, battle, buttonsmashers, cheap, community, epic, Europe, fincon, free, game, gameplay, grand, hello, hero, in, information, iOS, jea, Jonez, jonez001, jonezjea, kit, launch, link, microtransactions, more, neko, NekoJonez, news, no, official, plug, post, press, Publishing, reveal, RPG, southeast, teaser, trailer, usa, websites, when on April 17, 2018 by NekoJonez. Today we are going to take a look at a game that lets you build a huge empire. A game where you can become immortal and conquer the world. The game currently isn’t released to the public, but I got the chance to play the development version. The game will also release on Steam, since it got greenlight. I also want to stress that this article isn’t a paid review or promotion. In this article, you will find my honest opinion on the game. Also, beware, since this game is still under ONE MAN development, things I mention here might change and/or improve in the final version. But enough introducing of the game, it’s time to give this cyberpunk tycoon adventure a start. The current planned release this is 31st August 2017, but this is subject to change. The goal of this game is to become immortal and conquer the world with your empire. In this game, you can control everything that your mega-corporation does. Want to get a special law passed in a country? This game has it. Want to control media? Yes, this feature is in the game! Want to rig elections? Guess what, this is also a feature in this game. There is a lot more to do in this game, so it’s advised that you play through the tutorial. In the press build, I think the tutorial could use some improvement. Since there is a lot you can do in this game, I honestly think that it would be better if you were able to replay certain tutorials. Basically, that you have a list of missions. Each mission is a tutorial. This way a player can replay a tutorial if they want more explanation about a certain part of the game or when they forgot how something worked. After I played the tutorial sections, one thing was clear to me. This game isn’t for casual players. There is a lot of things you need to keep track of. Since this game is turn based, you could argue that you could play this game in short bursts, but I wouldn’t recommend that. The gameplay of this game is simple on the surface but it’s very in-depth. The only thing you will need for this game is a mouse. You rarely need the keyboard, only to input your name at the start and/or the name of your save file. My first few playthroughs of this game left me confused. I honestly think there is too much to do from the start in this game. After some time, I got used the mechanics of this game. I learned how the game worked after replaying the tutorial for a few times. Again, read the tutorial carefully. I think this game would be improved if there is a “Help” button, where certain things are explained that were explained during the tutorial or like a “What does this thing do?”-sort of button. Where you need to click on and then you click on another button to get some explanation. Basically, I think the biggest issue in this game is that the game is a bit overwhelming to new comers. If you don’t play a lot of management games, you will get lost in everything you need to keep track off in this game. The game is fun and well put together, but like I said, it isn’t newcomer friendly. Also, you need to take your time to play this game. If you click on everything just to advance your turn, you will lose all your money before you know it. Take your time and think everything through while playing this game. In the press build, there were a couple of bugs. But, I’m not going to hold this against the game since I told them all to the developer so he can fix them before the game launches. Most of the bugs were minor things that could be improved. So, now that I have talked about the gameplay, I think it’s time to talk about all the other aspects of this game. I love how you can save and load your game at any time. This is very handy since when you made a wrong move, you can easily load an older save file to try and fix your mistake. Visually, the game nailed its theme. The game looks quite good for being created by one man. I really liked the animation of the moon going around the globe, very well done. While there is a lot to keep track off, the UI is very well built too. All icons give a great representation of what options you could find where. The only thing I would improve is to make sure you can easily see what’s a clickable feature and what not. Personally, I’m not a fan of the music. I really enjoy melodic music, and this game doesn’t have that. Is the music bad? No, I have heard and played games with much worse music. The music adds a lot to the theme and presentation of the game, but it isn’t my cup of tea. Some tracks were enjoyable like the menu theme, but some tracks used in this game weren’t to my liking. During my play sessions, I had one idea I would love to see implemented in the game. When you start a new game, you can choose a region where you start. This will also decide your currency. You could take this idea even further with making it more tricky to change laws in other parts of the world. For example, a European based country has it more difficult with changing a law in the North America. But, that’s everything I wanted to say about this game. It’s time to give my final thoughts. In conclusion, at its current state, I don’t think it’s ready for release just yet. It needs some polish to be “easier” for non-management gamers to understand the game. Apart from some minor bugs, everything works pretty well. The game is interesting and unique. Would I recommend this game? Currently, I would recommend it to people who enjoy games like Europa Universalis IV and games of that nature. Otherwise, this game isn’t for you and you might not enjoy this game at all. This game truly has potential to become a great game, but it still needs some work. 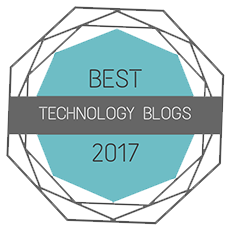 Thank you for reading this article and I hope you enjoyed reading this article as much as I enjoyed writing it. I hope to be able to welcome you in another article but until then, take care and have a great rest of your day. Note: The developer told me that he will work on making the experience better for newcomers when the game is released. This entry was posted in Articles, Preview, Reviews and tagged 001, arpegi, build, coperation, easy, empire, even, evil, free, gameplay, games, gaming, Google, Greenlight, how, immortal, indie, james, jea, Jonez, jonez001, jonezjea, management, mega, more, neko, NekoJonez, press, Preview, reads, release, review, spinnortality, steam, tags, them, time, tutorial, when, who on July 26, 2017 by NekoJonez. Note: this review is longer then my usual ones. 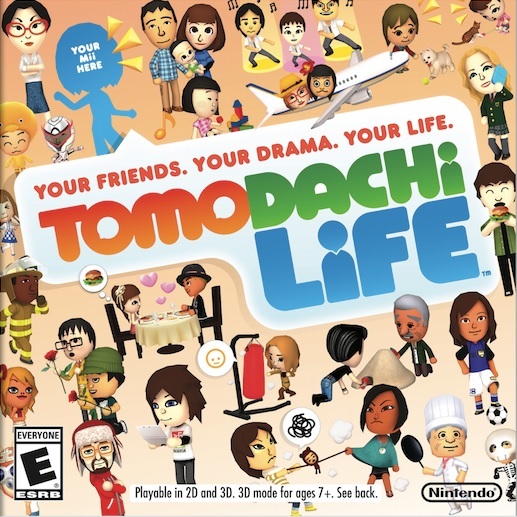 While Inu was writing her review of this game, she noticed that my Mii was on the box-art. It’s true. The Mii eating a hamburger next to “Life” looks a whole lot like my Mii. I don’t think I should look for a reason behind this, since I think it’s nothing more then a pure coincidence. Though there’s not much to the game in terms of backstory, there is one thing. You own an island. Thanks Inu. That’s exactly it. In this game you own an island. Compare the idea to a game like Animal Crossing. In that game you own a town. And that’s it for the story. You create the rest of the story yourself. Now, the big difference with Animal Crossing and Tomodachi Life is control. You are more of a observer then a major in this game. 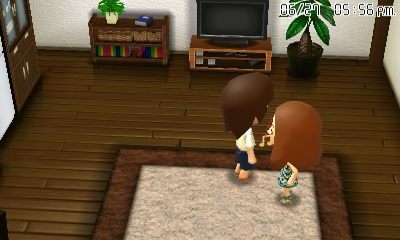 You can control some things like if two Mii’s should start a friendship or not, what they eat or where their room is. But that’s really it. You made a resident that looks like yourself. You can make more residents. Everyone calls you <your Mii’s nickname>’s look-alike. Fun is to be had. But seriously, most of the “story” comes from just watching the Miis interact with each other and have fun. They make friends, go on dates, get married, play with the things you give them…and maybe, someday, have children of their own. Honestly, this is part Sims, part Animal Crossing, part ‘sit and watch to see what they do’. A lot of the fun just comes from watching them. So, how to describe this game? Honestly, I would describe it more as a sort of Island Simulator – Nintendo Edition. This game is not for everybody. Like Goat Simulator, this game is only for you if it looks interesting to you. If it looks boring with reading reviews or looking at video’s, don’t buy it. You won’t have much fun with it. 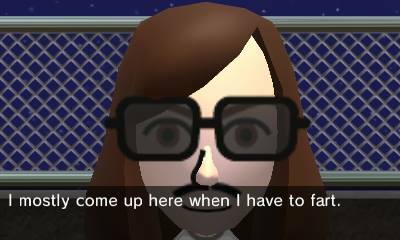 I enjoy looking at how my actions and suggestions to the problems of my Mii’s influence my inhabitants. Now, is there more you can do? Well, honestly, I feel like this game has a solid foundation but didn’t build further. There is quite a lot you can influence, but I feel that this game is lacking quite a lot. What is lacking you might ask? First, the fact that kids go on a part time job. How crazy is that? Well, that’s not really a lack of something, but it’s a complaint at least. So, this game got a day 1 patch. And yet, I was able to find a strange bug in the game. After a few minutes of play, I saw that my clock was running a minute or two behind. So, I adjusted my clock in-game and continued playing. When I closed my 3DS, I noticed that my whole system clock was messed up. It was suddenly 1st January 2005. And the game adapted that. To add to the confusion, the game didn’t like me changing the time. And here who go at a strong point of this game. You can’t simply cheat with time in this game. You will get punished. From not receiving new items to not having donations. That’s a great addition to the game. A great feature in this game is how there is no real “dead time”. What I mean here is not that there aren’t any moments there is nothing to do with your Mii’s… rather, there is no time in the day where every Mii is sleeping OR where every shop is closed. Thank you Nintendo, this made the game trip friendly. This way you don’t have to wait to play this game when you are travelling by car to somewhere. So, first of all, the treasures. It’s nothing really more then a way to earn money. You simply sell all your treasures at the pawn shop and done, you have a ton more money. Come on Nintendo! This is really lame. At least in Animal Crossing you have a museum! A minor complaint is that you can’t use the down arrow to go your max amount of items in the pawn shop. Oh well, that’s a small annoyance. Another thing that I really find lacking is in the controls. The controls aren’t very good. The game controls about as fantastically as you can expect from Nintendo. Since the game is mostly menus, there’s not much you can screw up, though. They use the gyrowhatsit in the 3DS perfectly, too. Like I said earlier, I disagree Inu. The big issue here is that there is no button to take a screenshot of both screens. This makes you having to make a screenshot of the top screen and the bottom screen just seconds after each other and hope they match up. While this shouldn’t be that big of an issue, it still is an annoyance. Also, I wish you could control the menu’s with the buttons. Yup, without a stylus, you’re pretty much screwed. Or you don’t mind pressing your touch screen with your fingers. There are some menu’s you can use with the buttons, but not everything. But in terms of the menu’s there is one huge issue. If you made a mistake, eg: giving the wrong present to a Mii, you can’t revert it. That’s a big annoyance. Okay, before I end off this review, I want to quickly talk about the other things in this game. I can’t talk about the difficulty and the length since that’s not playing a major part in this game. The game is pretty cute. The synthesizer voices add a lot of character to the Mii’s on your island. The graphics are quite nice too. But the strong point here is the animation. 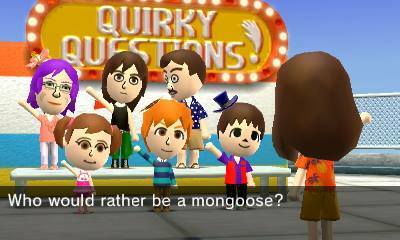 The Mii’s act just like a real person would react. And I admit, I believed once or twice that this were real people. Now, the music is pretty basic. Don’t get me wrong, the music is quite well made but I have heard Nintendo do a lot better with it’s music. It’s just that this music isn’t memorable at all. It’s not as catchy as their other tunes. Anyways, I think it’s time for the summary. – The music could have been better. More catchy. – Issues with the time settings. – Some more use of the buttons would made the controls perfect. + … but what you get is really addicting. + Amazing atmosphere. You really feel that you’re living on an island. + A build in screenshot feature! We got a solid game by Nintendo, but I think they could have done more with it then what got got. Maybe they are making a sequel already with more things to do and more to explore and experience. I’m crossing my fingers at least. Notice how I haven’t talked too much in depth about this game in this review. This is because I want some things for you guys to find and experience without being spoiled here on my blog. Anyways, this is the end of the review. Thanks for reading! I hope you enjoy this one. I really loved writing this one. I hope to see you another time here on my blog. Until then! This entry was posted in Reviews and tagged 001, 3DS, arpegi, baby, bad, bug, buttonsmashers, can't, changelog, cheats, compare, couple, day, do, finish, forums, get, glitch, good, hacks, how, information, inunah, is, it, jea, Jonez, jonez001, jonezjea, life, marry, more, neko, NekoJonez, on, one, opinion, or, own, patch, really, review, simulator, tamagochi, that, The, time, tomodachi, trick, v1.1, when on July 11, 2014 by NekoJonez. 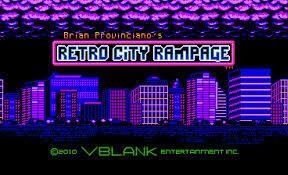 Trying to come up with a definition for a retro game is extremely difficult. Many websites give different information. But which one is right? I did some research and broke my head about this question multiple times. After a while of thinking, I came up with my answer for the question. In this article I will explain more about my though process about this question. So even consider this to be a controversial topic, which I totally don’t get. But feel free to discuss in the comments down below and who knows, we might make the real definition of a retro game. Keep in mind that I try to make a definition here of what exactly is a retro game. Like “when is a game retro?”. For answering that question we need to ask the question, what’s retro? When does a game turn retro? Is the previous entry in the series when the sequel releases a retro game? Or does it need to have a certain age? If we check WikiPedia on this one, there is an issue. They don’t give a clear definition. Also, they say when the most popular time period is. So, according to WikiPedia it should be 20 years old, looking to the popular period. But then on other gaming blogs, they talk about games being 10 to 15 years old. So, there is some unknown things about retro gaming. 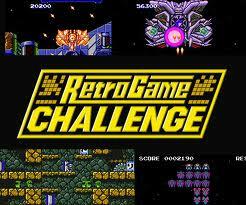 Promotional image for the DS game Retro Game Challenge. I think we can all agree that the Playstation 2 is now retro. Since it’s discontinued and the PS3 is out, plus the PS4 is soon going to be released. But let’s look at another console. Is for example the DS retro? I would say so, since the 3DS is out for a while and the mainstream gamers don’t really care about those games anymore. Definition of a retro game. So, are retro games, games where the mainstream doesn’t care about anymore? Yes and no, bargain sales don’t count. But I think I can say that whenever a game starts to get sold on second hand stores for low prices or not anymore on store shelves, it’s retro for sure. But wait, that isn’t correct since my local game store sells some old games and some of them are first hand. Let’s look at it from a different angle. We are currently going to the 8th generation of consoles. The Wii U, PS4 & XBOX one. So, in my eyes, generation 1 till 6 is retro. But when does generation 7 turn retro? When generation 9 is released or announced? Or when generation 8 is well on it’s way? Some might say that when something is discounted, it’s retro. When it’s not being sold anymore, it’s retro. And I disagree on one level. What if a company went bankrupt? Would their latest releases be considered retro? That would be a far stretch. Yet, one thing is for sure. A retro game is an old game. But there is still a lot of debate when exactly a system turns retro. The issue we still have is about generation 7. Well, I think as soon as you barely see generation 7 games on the shelves, they are considered retro. When the first hand copies are becoming extremely hard to get. Since saying that games that need to be at least 10 years old to be considered retro, leaves one big time gap to be questioned. So, a game that is for example only a 5 years old, isn’t retro yet? In 2013, the Wii U is anything but retro. For a while, I thought it would be impossible to make a definition for retro games. On all the forums I visited for researching this topic, everybody starts giving their own opinion. And some are very different then others. Years are said, requirements or examples. What strikes me as odd is that many new questions start to raise. How do you call games that aren’t retro? Modern games? And why are always the handhelds left out? It becomes even more difficult if we try to think about what games exactly you need to look at to make a definition. For retro games, do we need to take games like Android and iOS in a count? Or even the online flash games or Facebook games? Let’s actually give a definition of a video game. What is a video game? WikiPedia gives a great definition. A video game is an electronic game that involves human interaction with a user interface to generate visual feedback on a video device. So, actually we need to count games created online and games created for tablets or phones into our group of games. Sadly enough, many gamers will rage at me for saying that. Since they don’t see Facebook games as actual games. Yet, I would refer those people towards the definition that I gave. Okay, copied from WikiPedia. Plus, I don’t think the developers would like to call their product an interactive application or a game wannabee. And then you get creations like this. Like I said in my previous part of this article, there are always flaws in somebody’s logic. When somebody says that the previous generation is considered retro games, I have a small question for you then. Let’s take the 3DS for example. The 3DS is released late 2011. Are games from 2011 retro or not? Honestly, it’s a combination from factors that decides when a game is retro. But I think I found a great indication for looking if a game is retro or not. The sales graph. Think about it, if you look to a sales graph, you first get the early adapters who buy the game without looking to reviews. They are extremely hyped and they want to product. If you look to an usual sales graph, there is a point where it goes down in sales. In my point of view, I think you can say that a game is then starting to get retro. Mainstream games will continue to sell. Like for example Minecraft, it might be an old game but it keeps selling like crazy. Whenever a game starts to “die” in the interest of the general public, the sales will go down. With that, the developer starts to get more and more costs of supporting the game. And eventually they start to support the game. Around that time, the game starts to become retro. But then again, there is a flaw in my logic as well. Games that are overlooked, aren’t really the issue since they get sold. But I’m talking about free games. Those can’t be sold. Well, I think I’m going to leave it here. What do you guys think is retro? I look forward to reading the comments. This entry was posted in Articles and tagged 001, a, definition, facebook, game, games, iOS, is, jea, Jonez, jonez001, jonezjea, neko, NekoJonez, retro, Retro Gamer, Retrogaming, video game, when, wii, Xbox on June 17, 2013 by NekoJonez.